Have you hugged a scientist today? If not, here’s a way to make up for it. 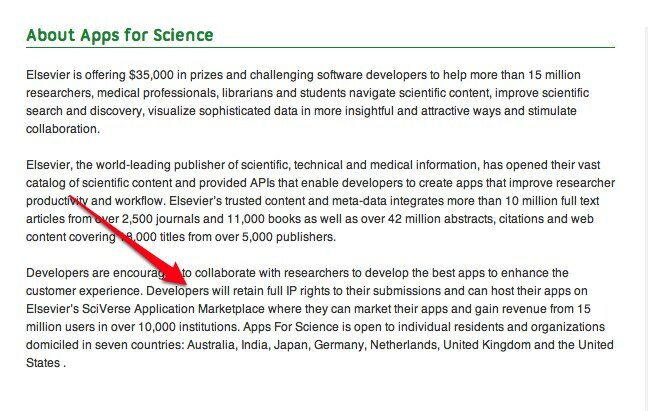 Go sign up now to compete in scientific publisher Elsevier’s Apps for Science contest on challengepost.com. It’s a great opportunity to make life a little easier for research scientists and win yourself some profit too. 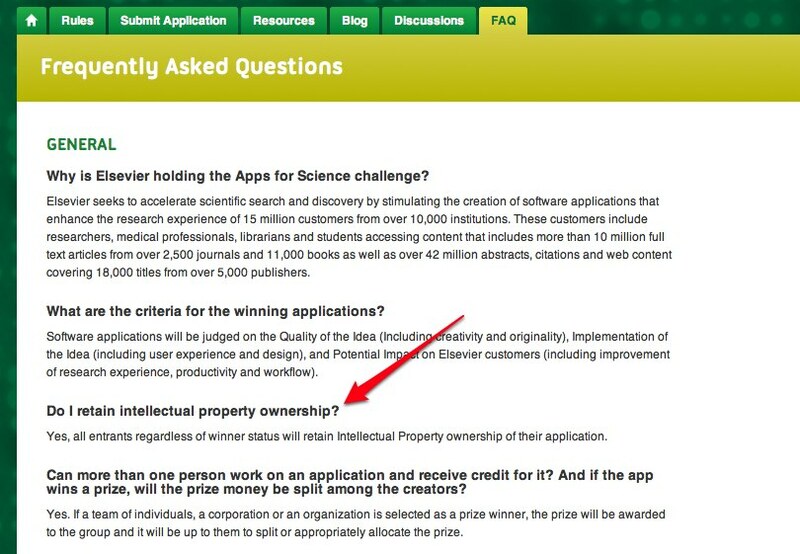 So with that little misunderstanding cleared up, we encourage you to check out the Apps for Science contest! I could also use a hug and/or a law degree.